“I’ll pick the most perfect pumpkin ever,” he promised. As fall is on a roll, so is Splat, literally. After “helping” his mom rake leaves, (AKA, jumping in the pile) she sent him to Farmer Patch’s pumpkin patch to pick out a pumpkin. 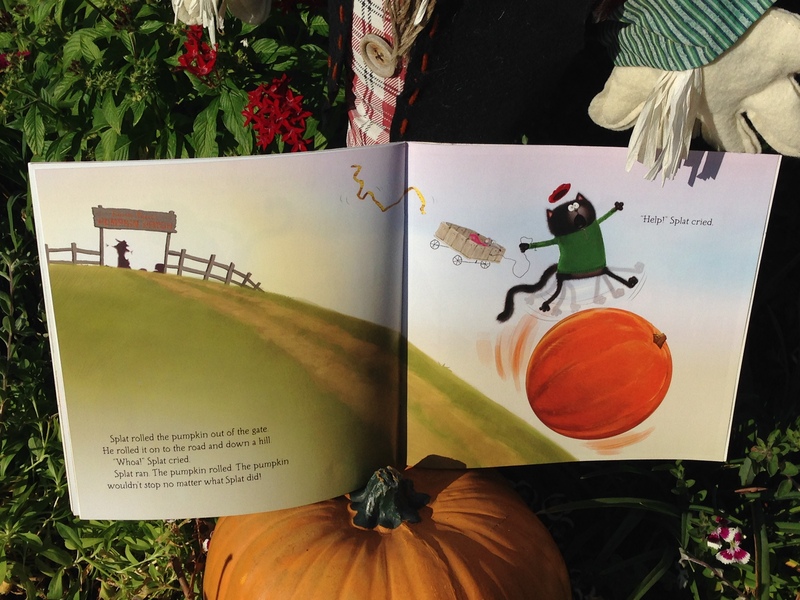 Splat and his accomplice, Seymour, enjoyed the hay-bale maze and the cup of apple-and-fish cider. Then Splat remembered: he was supposed to pick out the perfect pumpkin. “The perfect pumpkin should be big, orange, and round,” he told Seymour. After finding just the right one, there was one problem: the pumpkin was too big for his wagon so he decided to ROLL it home! “Help!” Splat yelled, as he rolled down the hill. Then he realized he could steer the pumpkin with his feet. Splat, Seymour and their giant, big, orange, and round pumpkin rolled over a bridge, between the traffic and right through his front gate . . . to his mom who was finishing raking the leaves. Splat and Seymour were sprawled on top of their giant pumpkin, smiling at mom. F– How do you feel when autumn comes? Excited about the cooler weather and fall activities, sad about summer coming to a close, happy about the holidays approaching . . .? 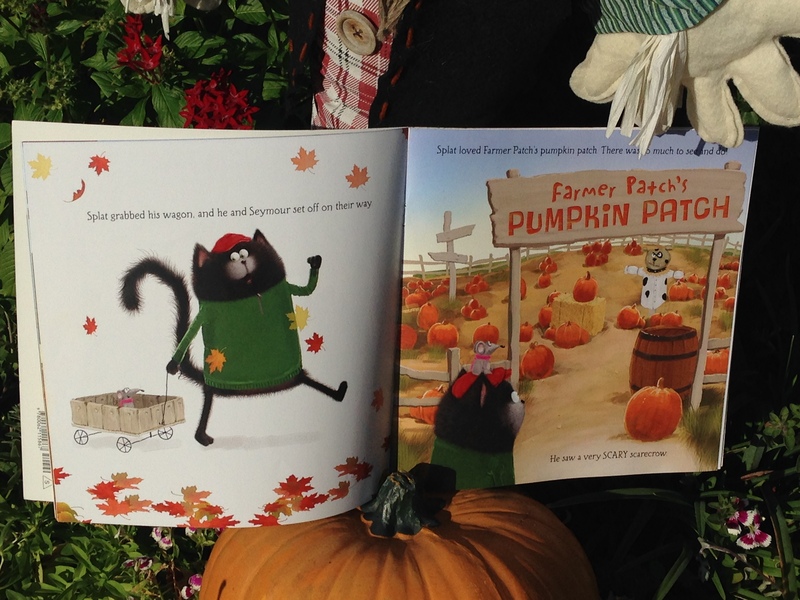 I– Imagine you get to be at Farmer Patch’s Pumpkin Patch with Splat and Seymour. 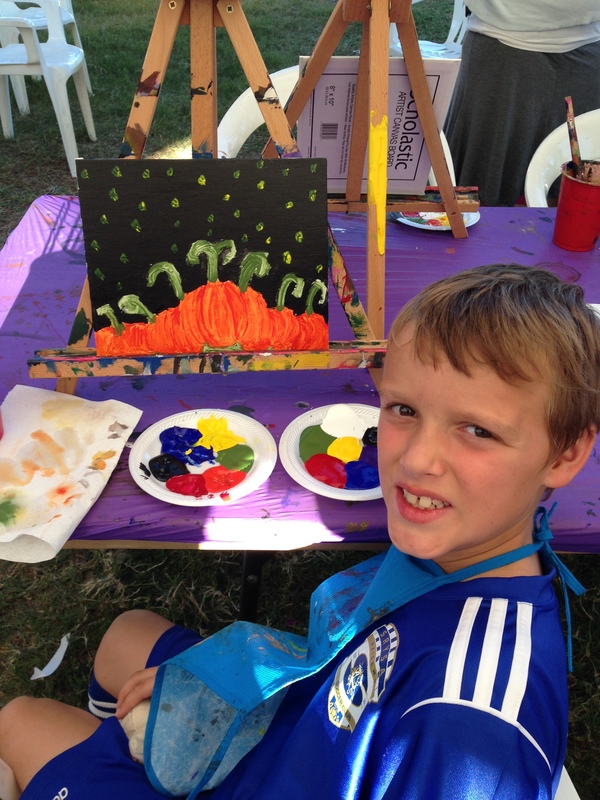 What activities and/or treats could you add to the pumpkin patch adventure? E– Explore a pumpkin patch, hay-bale or corn maze, and/or a fall festival in your area. D– Develop a piece of pumpkin art! *We like to double the recipe to make extra for gifts and/or freeze them. Mix all dry ingredients in one bowl; Mix all wet ingredients together in another. Then blend them all together. Divide batter into 3 bread loaf pans or into 36 muffin cups. 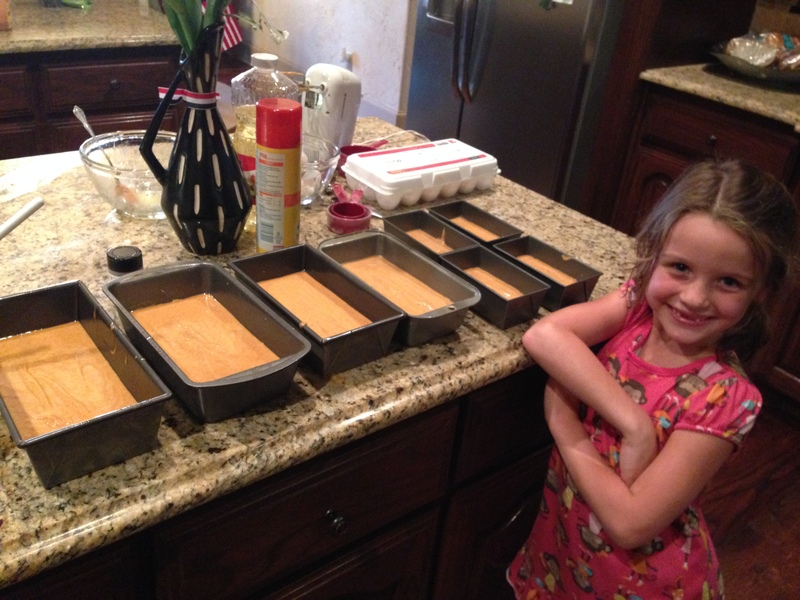 Fourth generation baking pumpkin bread! Follow Kidsbook Friends on Facebook and subscribe to http://www.kidsbookfriends.com to receive the blog posts directly to your e-mail. Enjoy kids’ book reviews with creative activities, questions, and crafts to do with your kids or class! 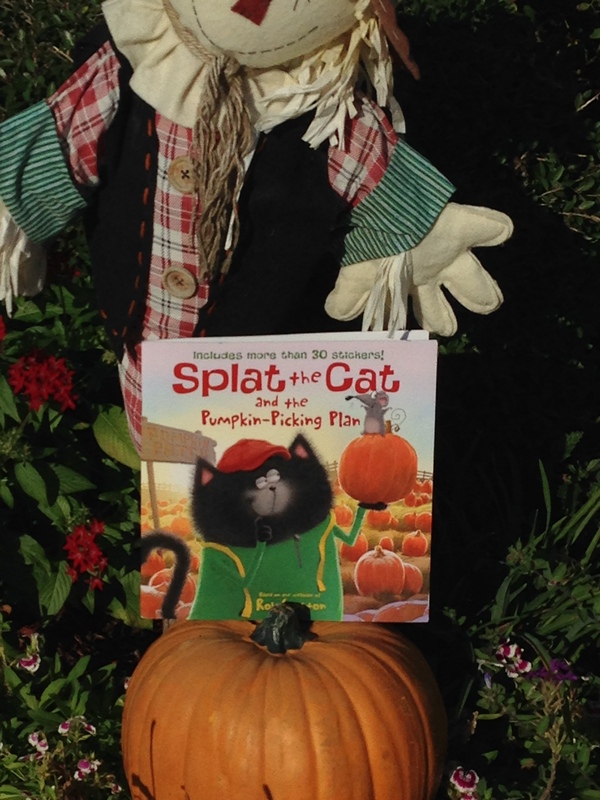 This entry was posted in Character-driven books, fall and tagged apple cider, Harper Collins Publisher, Harper Festival, leaf piles, orange, pumpkin patches, Rob Scotton, Seymour, Splat the Cat, Splat the Cat and the Pumpkin-Picking Plan. Bookmark the permalink. 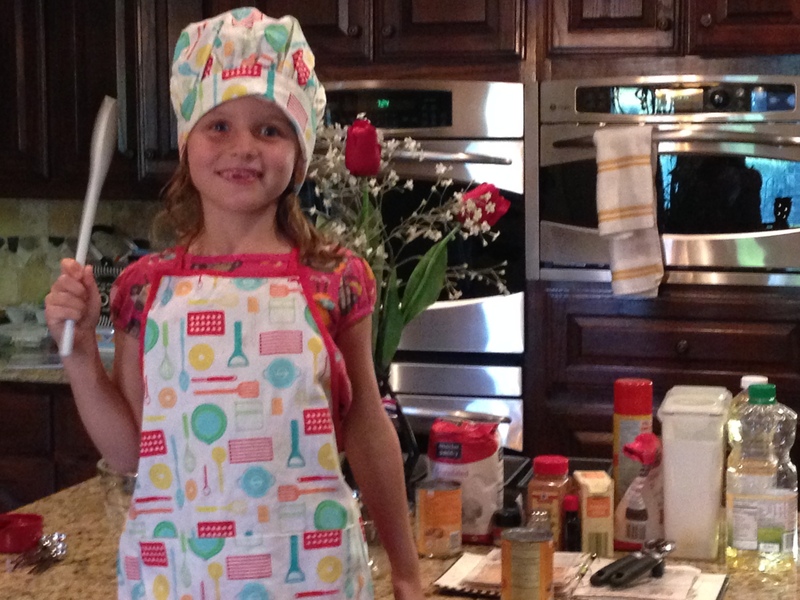 Excited to use your mom’s recipe!